Okay, I promise this is the last guy I'll talk about from id Software - well sort of - at least the last of its original co-founders. There's not as much information on this character but it's time to talk a little bit about Adrian Carmack (not related to John Carmack) who worked as an artist for id Software for over a decade. Adrian Carmack was born in 1969 and was fascinated with the art of early video games although he has always wanted to work with fine art and he initially never intended to work in the games industry. He did end up applying for an internship at Softdisk's Gamer's Edge division at the age of 21 - Gamer's Edge being a bi-monthly PC game disk publication started by John Romero. There he would meet the other id Software co-founders besides Romero, such as John Carmack and Tom Hall. After working for a short time at Softdisk, Carmack along with the others founded id Software in 1991. During his time at id Software, Adrian Carmack created the art and graphics for many of their best-selling hits of the 90s such as Commander Keen, Wolfenstein 3D, DOOM, Hexen: Beyond Heretic, Quake, Quake II and Quake III: Arena. Carmack also provided art for 2004's Doom 3 but then left id Sofware in 2005 to pursue his passion for art. He apparently sued id Software that same year claiming he was effectively fired by them in an attempt to force him to sell his 41% stake in the company. The case appears to have been later settled and Zenimax Media acquired id Software anyway in 2009. 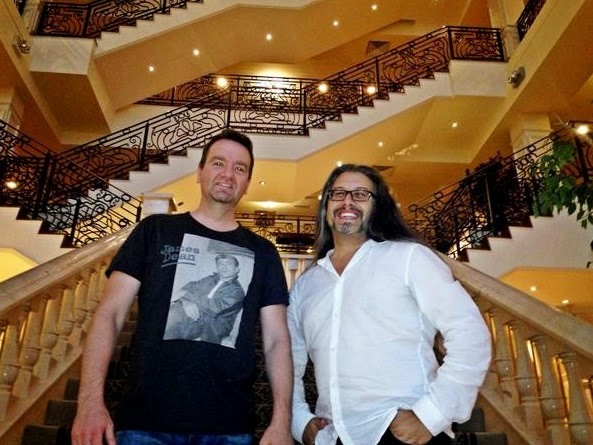 There hasn't been much word about Adrian Carmack in the decade after he left id Software but last year a newspaper site reported that he is now the owner of a luxury 5-star resort in Ireland. So I guess he managed to get his millions after all since the place wasn't cheap (apparently he paid "considerably" more than the 5.5 million euro guide price). While it's a shame Adrian Carmack seems to have distanced himself from the game industry those images that are ingrained in our memory of fighting Nazis, demons and aliens in the 90s are all thanks to his efforts.